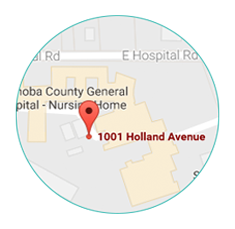 Neshoba County General Hospital Outpatient Infusion Center- Oncology Center is located within the hospital on the 1st floor. To learn more about Neshoba County General Hospital Outpatient Infusion Center, or to receive prescription order forms please contact: Our Case Manager (601) 663-4224. An Infusion Center is an innovative and cost-effective alternative to time-consuming hospitalization. 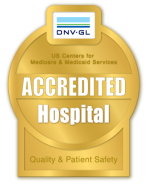 Why Choose NCGH Outpatient Infusion? We deliver high quality, cost-effective outpatient intravenous therapy for acute and chronic disorders. 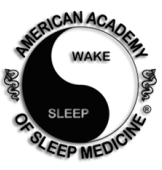 We combine professional clinical services with our comfortable home-like infusion suite. Our professional staff of registered nurses and pharmacists have training and experience in intravenous therapy. By teaming with the physician and providing constant supervision, the patient is assured the highest quality care. With our personalized approach, patients seldom wait to receive their medication. Once a new patient is pre-certified for their first visit, they will be scheduled within hours. We will work with your insurance carrier to provide the IV and/or Chemo Therapy you require. What Therapies Do We Provide? We provide a safe, secure and comfortable atmosphere for patients receiving infusion therapy, chemotherapy/Biotherapy. With support from NCGH Outpatient Infusion you can return to your normal life, taking part in your own treatment. You can live at home, attend school, or remain on the job without serious disruption to your daily routine. NCGH Outpatient Infusion is like no medical infusion clinic ever visited. With our accommodations, your comfort is assured. You will seldom be kept waiting to begin treatment. Our professional staff is very experienced in critical care. 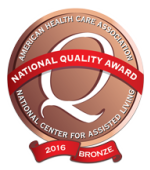 Quality of Care - Our professional staff is experienced in intravenous therapy. We use the latest treatment techniques in a controlled clinical environment to ensure patient comfort and care. Your patients are rarely kept waiting to receive their medication. Lower Cost - Our specialized services and non-clinical setting allow us to provide personalized care at a lower cost to patients and insurance carriers. The Physician is in Charge - We carefully monitor patient progress and send you frequent reports so you can adjust the patient's drug therapy as needed. Physician on Site, Dwight Keady, MD Medical Director for the Infusion Center. Dr. Keady practices both Internal and Oncology Medicine at NCGH. Think of us as an extension of your practice! What are Additional Benefits to the Patient? What Patient Education Services are Available?